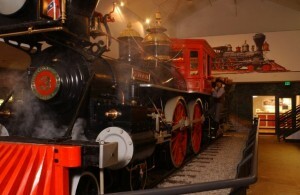 The General Locomotive at the Southern Museum of Civil War and Locomotive History (Kennesaw, GA). Photo Â© Southern Museum of Civil War & Locomotive History. Send â€œThis Day in Civil War Historyâ€ stories from your community, highlight a Civil War expert from your neighborhood, talk about an artifact in your collectionâ€¦the possibilities are limitless! 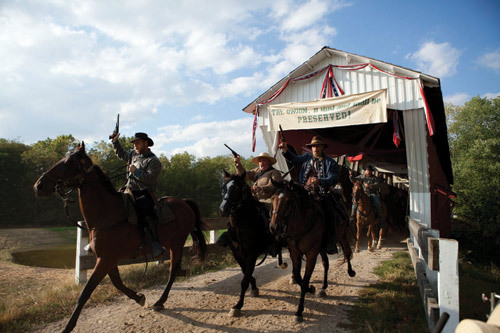 Civil War reenactors from throughout the Midwest portrayed Morganâ€™s Raiders during the creation of Conner Prairieâ€™s new "1863 Civil War Journey: Raid on Indiana." 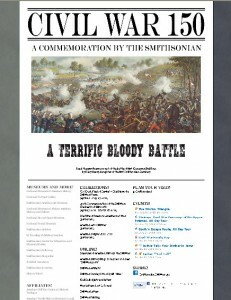 Donâ€™t forget to â€œlikeâ€ the Smithsonian Civil War 150 Facebook page! For questions, application guidelines, or to request a nomination form, please contact Pamela Veenbaas at veenbaasp@si.eduÂ or 202-633-7070. 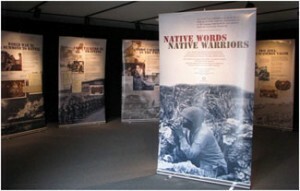 The Wisconsin Maritime Museum (Manitowoc, WI) is hosting SITESâ€™ Native Words, Native Warriors, from July 23- October 2, 2011. It’sÂ the remarkable story of Indian soldiers from more than a dozen tribes who used their Native languages in the service of the U.S. military. The Charlotte Museum of History (Charlotte, NC) hosted SITESâ€™ Becoming American:Â Teenagers & Immigration exhibition April 23 – July 17, 2011, and visitors loved every minute of it.Â Photographer Barbara Beirneâ€™s images capture first-generation immigrants and children of immigrants, revealing a diverse array of teenage responses to the immigrant experience. The South Florida Museum and Parker Manatee AquariumÂ (Bradenton, FL) is currently hosting Farmers, Warriors, Builders:Â The Hidden Life of Ants, on view through October 9, 2011.Â More than 140 guests got buggy with entomology family fun on Saturday, August 6 at a â€œFamily Nightâ€ program at the museum.Â Â Hands-on crafts, a cartoon movie about the critters, and a scavenger hunt through the museum including the Farmers, Warriors, Builders exhibition all made the event a huge hit. 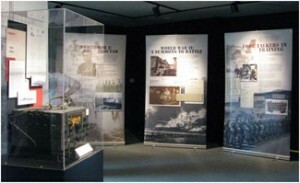 Please visit our websiteÂ to learn more about all of our exhibitions that will help you get your SITES on. Fall is underway in Affiliateland! The Challenger Space Center opens the National Air & Space Museum’s In Plane View: Abstractions of Flight in Peoria, 9/2. Senator John Heinz History Center displays four artifacts from the National Museum of American History in its StarsÂ & Stripes: An American Story exhibition in Pittsburgh, 9/10. 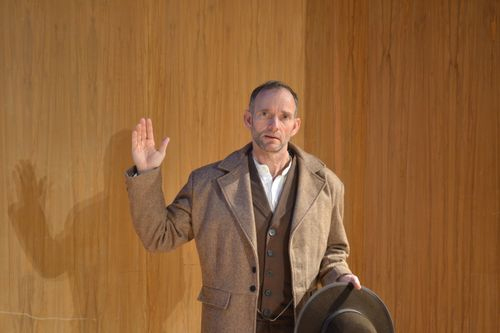 Bill Fitzhugh, archeologist from the National Museum of Natural History, will give a public lecture on Genghis Khan at the Irving Arts Center in Irving, 9/10. The National Museum of Natural History’s Dr. Valerie Paul gives a talk at the Museum of Arts & Sciences in Daytona Beach, 9/10. The South Florida Museum, Tampa Bay History Center, and the Frost Art Museum will be represented at the Florida Association of Museums for an Affiliations Session in Sarasota, 9/20. 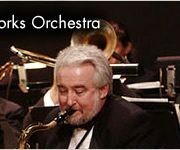 The Museum of Arts & Sciences will host the Smithsonian Jazz Masterworks Orchestra in Daytona Beach, 9/23. The Riverside Metropolitan Museum will host Smithsonian Citizen Science Week in Riverside, 9/20. 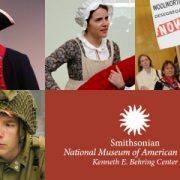 More than 80Â Affiliates take part in Smithsonian Magazine’s Museum Day, 9/24. Affiliates have been busy in September!Â Kudos to all. 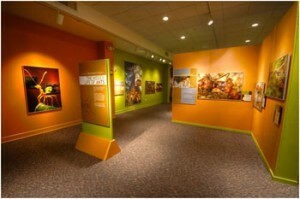 The Arab American National Museum (Dearborn, MI) raised $285,887, with $150,000, from the Museums for America grant program. The funds will benefit the museum’s Understanding Arabs, Arab-Americans and Islam initiative, which aims to educate students throughout the Midwest. The museum also has been awarded a $150,000 grant by the American Association of Museums (AAM) for a project titled Watch Your Waste. The grant enables the Museum to partner with the Childrenâ€™s Museum Jordan in Amman, Jordan, to create an e-museum where children from both countries will simultaneously conduct research about the garbage their families generate and dispose of. Michigan State University Museum (East Lansing, Michigan) will receive nearly $150,000 to complete chemical testing for natural science specimens and to make database and technological enhancements for its natural science and cultural collections. Â USS Constitution Museum Foundation(Charlestown, Massachusetts) will received $149,023 for a hands-on, Old Ironsides 1812 Discovery Center gallery and programs, grounded in research and designed for all ages, to learn about the USS Constitution and the War of 1812. 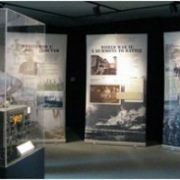 National Civil War MuseumÂ (Harrisburg, Pennsylvania) will receive $138,600 to fund The Civil War 150 Years Laterâ€”Bringing History Back for the Future, a primarily Web-based project that is intended to enhance educational resources available to teachers, students, and the public on the Civil War. Chabot Space and Science Center (Oakland, California) will receive $149,963 to implement the design phase of its upcoming outdoor exhibit, Launchpad. Through Launchpad, students and visitors will learn about space and the sciences as they play and engage in hands-on activities throughout the exhibit. 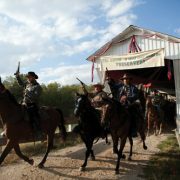 Hubbard Museum of the American West (Ruidoso Downs, New Mexico) will receive $79,355 to upgrade and add technology to its new distance learning center to provide new opportunities to learn about the history and culture of the southwest for adults, families, and pre-K through grade 12 students. 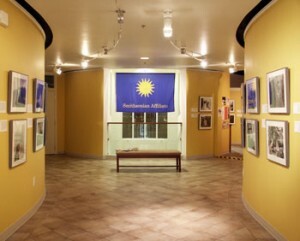 Atomic Testing Museum (Las Vegas, Nevada) will partner with the Karaganda Ecological Museum (Karaganda, Kazakhstan) to develop Nuclear Weapons Testing Legacy: The Tale of Two Cultures. Students in both cities will collect oral histories and radiation data from the areas surrounding the Nevada and Semipalatinsk test sites. Ultimately, participants will produce a joint report and conduct symposiums with experts in each country to explore the local and international implications of their findings. California Science Center (Los Angeles, California) will work with Maloka (Bogota, Colombia) to create Rainforest Leadership Academy: Cross-Cultural Teacher Training and Mentoring.Â To empower teachers with the resources, skills, knowledge, and the confidence to deliver inquiry-based science lessons to their classes, the California Science Center and Maloka will enlist mentor teachers from local public schools to collaboratively develop materials for teacher professional-development trainings and student activities. 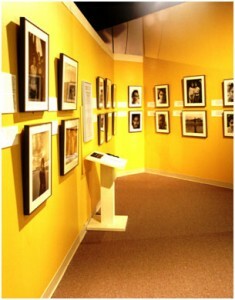 The African American Museum in Philadelphia(Philadelphia, Pennsylvania) was awarded $149,287 Â as part of the Museum Grant for African American History and Culture by The Institute of Museum and Library Services (IMLS).Â AAMPÂ will create resources for smaller museums through a project that trains future African American museum professionals. Three affiliates received grants from The National Endowment for the Humanities to support ongoing projects. Montana Historical Society (Helena, Montana) received $290,000 to digitize over 100,000 pages of Montana’s microfilmed newspapers, dating from 1864 to 1922, as part of the National Digital Newspaper Program (NDNP). Center for Jewish History (New York, New York) will receive $103,657 to support the digitization of approximately 1,000 volumes to add to the Wissenschaft des Judentums library, which was dispersed and partially destroyed during World War II. Oklahoma Historical Society (Oklahoma City, Oklahoma) was awarded $325,000 to support the digitization of 100,000 pages of Oklahoma newspapers dating from 1836 to 1922, as part of the National Digital Newspaper Program (NDNP). Â JP Morgan ChaseÂ & Co.Â is donating $1 million to the Perot Museum of Nature & ScienceÂ (Dallas, Texas) to support the Bio Lab and related educational programming in the Being Human Hall, which will be part of the new museum under construction. 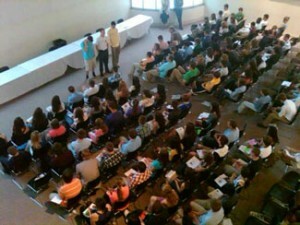 Annmarie Sculpture Garden & Arts Center (Dowell, Maryland), received a $12,000 grant from The Dominion Foundationâ€™s to give more than 60 teens an opportunity to participate in centerâ€™s summer arts program. The Museum of History & IndustryÂ (Seattle, Washington) has received a gift of $10 million from Jeff Bezos, the founder and chief executive officer of Seattle-based Amazon.com. The grant will be used to establish the Center for Innovation at the new MOHAI opening in late fall of 2012.